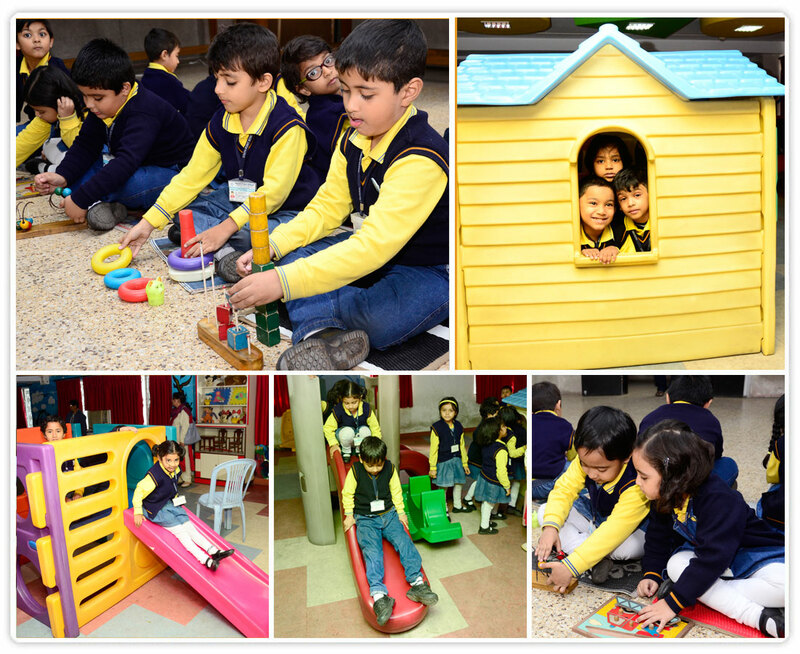 The South Point School Nursery Playroom is where the first seeds of joyful learning are sown. It is a cheerful and well-lit haven with colourful walls painted with child-friendly characters and illustrations. It is equipped with a Doll’s House, Slides and a Jungle-Gym made of child-safe moulded material. The shelves have various types of soft toys, dolls and also some well-crafted wooden toy furniture which the children enjoy playing with. The Nursery playroom has the perfect environment for fun learning and developing visual and motor skills in our toddlers.